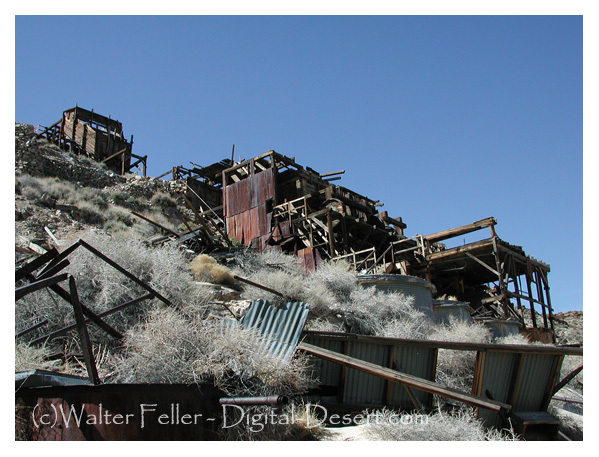 In January 1906, clouds rolled in over the top of the Panamints. The blinding fog kept One-Eye Thompson and John Ramsey from heading toward the gold strike at Harrisburg. They made camp to wait it out rather than get lost. When the fog lifted, they noticed the ledges looked interesting enough to file claims on. The Gold Eagle claims were purchased later in 1906 by Bob Montgomery. By March of 1907, Skidoo boasted over 400 citizens. 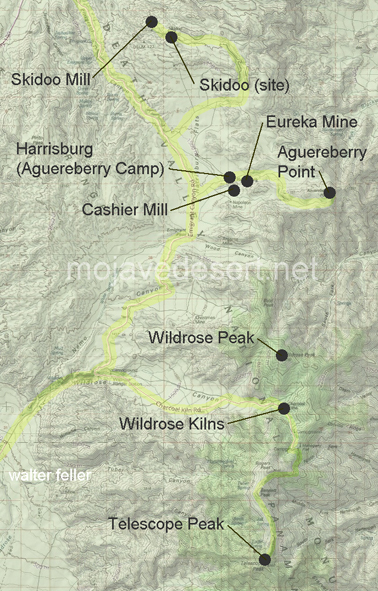 Mining activity ebbed and flowed over the next several years and in September 1917, the vein played out and the mine closed down.